This is How You Can Encourage Girls to Love S.T.E.M. Does your daughter love math and science? Does she have a love/hate relationship with those subjects in school? There are many ways that you can introduce and strengthen girls’ relationships with the math, science, and technology industry. Looking for S.T.E.M. programs in your neighborhood? Research your local schools, community colleges, and universities for information on S.T.E.M. educational programs. If you are not able to find any educational program in your community, try searching for a mentor. This will allow her to build a one-on-one relationship with someone who is currently working in that industry. In addition, it can assist with gaining insights on real life experiences in math, science, and technology. Learning does not have to be boring. Show that math and science can be fun. If her homework session is challenging, come up with a creative way to help with comprehending her homework easier. Conducting fun science experiments over the weekend is a great way to bond and strengthen her passion for S.T.E.M. There are many women that are breaking barriers in the s.t.e.m. fields. Teach your daughters about them by watching documentaries, going on trips to museums, or researching these trailblazers online. Simply exposing her to these women can give her a chance to see that hard work and dedication will allow her to achieve her dreams, whatever they may be. 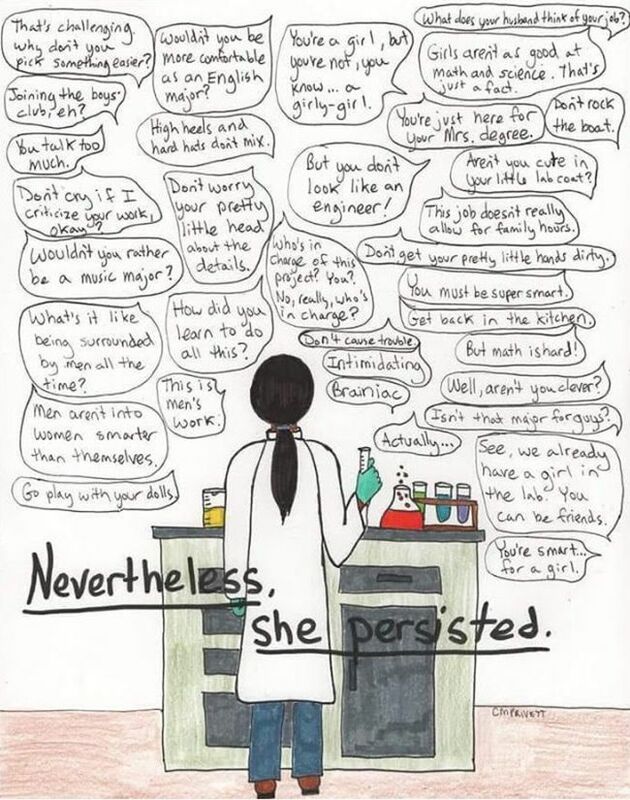 Encourage her when she feels discouraged, praise her for that awesome grade that she received on her science project, and ask her lots of questions about her future career path. Showing your interest will not only allow her to soar, but show that she can lean on you for support if needed. How are you encouraging your loved ones to enjoy math, science, and technology? Please share with the curly community. For hair inspo and more, sign up for our newsletter!